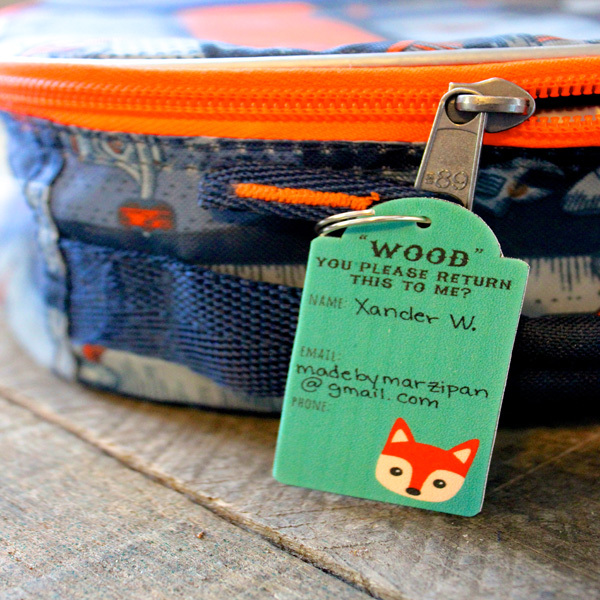 Project Description: Use Grafix Ink Jet Shrink Film to make these easy ID tags that can be added to backpacks, lunch boxes, suitcases, or coat zippers. Free printable! You’ll need Grafix Shrink Film for Ink Jet Printers. You can print on either side, so you can’t really go wrong. 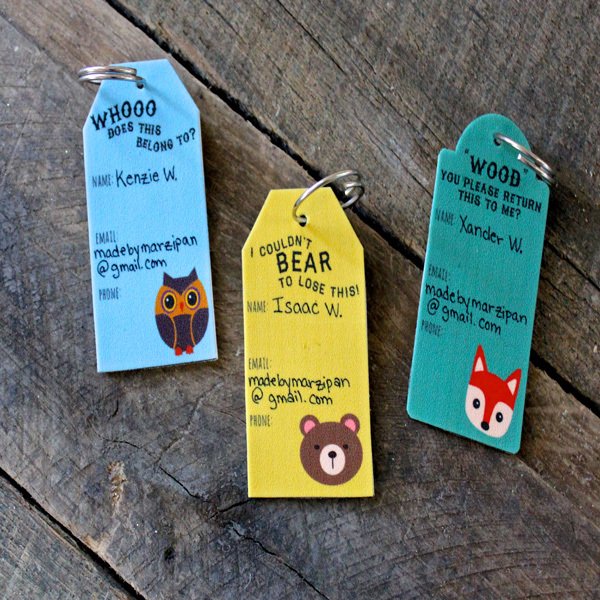 If you’d like, you can even print it again on the opposite side so that your ID tags are two-sided. Protect a baking sheet with a piece of parchment paper (not wax paper). Lay the tags down so they aren’t touching. Cover with another piece of parchment paper. This will prevent your tags from sticking to themselves as they curl and shrink. The amount of time you’ll need to bake your items can vary. It may be as few as two minutes and as many as 7. As the item bakes, it will curl up. This is normal. Soon the film will begin to flatten again. Once the item is completely flat, it’s done baking and can be removed from the oven. Remember to use an oven mitt. These will be hot, so let them cool before handling. You can see how they’ve transformed into hard, durable tags. You’ll also notice that the colors intensify when the film shrinks, so keep that in mind when designing your projects. Add a key ring or jump ring to your ID tag and clip it to your item.